The headlines today from business websites paint a difficult road ahead for Canada, and perhaps the world, from an economic standpoint. The Canadian dollar reaches a 12 year low at 70 cents and change. Some top analyst have the cdn dollar going to 60 cents and oil prices going to $20 a barrel before we see a turn around. The truth may be slightly less but all in all it’s a difficult scenario. While we lament our forgone trips to US hotspots and come to grips with higher lettuce prices we need to not lose sight of the opportunities. Does this sound like too much info for a Golf Website Blog? Beer drinking and fun loving golfers are also keenly aware of how prices affect their ability to recreate and spend their hard earned dough. Why read on? Simple! Redstone and Rossland in Super Natural BC is one of the most beautiful places in the World and now it’s on sale. 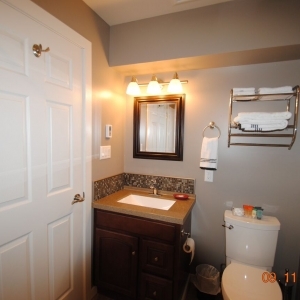 Everything from Golf to real estate is on sale with no specific ending date. Rossland B.C., the home of Redstone, is constantly being touted as one of the last great places. 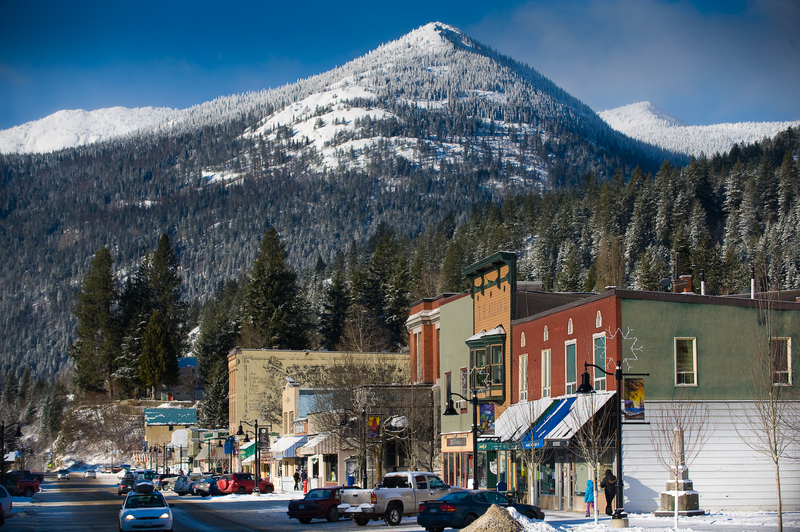 The New York Times, National Geographic Magazine and Sunset Magazine have all done articles on Rossland with the same theme ; a genuine town with super people and loads of recreational opportunities. Malcom Gladwell has written many insightful and thought provoking books over the last ten years. Gladwell’s “Tipping Point” is a book I have read twice. I am obviously not a writer, nor would I presume to condense his book into a single sentence, but here it goes anyways… The book reveals a set of conditions that need to exists for a small number of people start to behave differently causing a ripple effect. Gladwell refers to “Mavens”, “People Collectors” and “Salesman”. You know a Maven. They meet someone on a chair lift or at the golf course and invite a perfect stranger to a potluck thus collecting another friend. You also know the salesman. The person who tells all their friends that they discovered Rossland and encourages or sells the idea that you should ski, golf or mountain bike in Rossland. They are so passionate about it that their enthusiasm encourages people to act. There are external conditions that also need to happen to make all of this work. I believe that there are Mavens and Salesman in our midst and perhaps the drastic drop in the Canadian dollar is exactly the condition that causes the cocktail to fizz and flow over the top. For those of you that don’t know, in the late 80’s you could buy a home in Rossland for $10,000, the ski hill was owned by a club, the golf course was a 9 hole community run course and mountain biking was just starting to develop. On top of that Black Jack Nordic Trails were operated by a small group of volunteers pulling a small groomer with an old sled and downtown had empty shops and the infrastructure (pipes in the ground) were rotting due to age and neglect. Fast forward to 2016. The ski hill was sold to private hands and has added 4 new lifts and renovated the day lodge. A couple hundred condos were built, Grey Mountain was added, a new hotel is being built. Redstone golf course was built with 51 new homes in the subdivision, downtown was renovated and upgraded and new specialty shops have popped up everywhere. Mountain biking has become an industry with 100’s of kilometres of Trails and Blackjack Nordic club has new day lodges, a biathlon course and has been upgraded with modern grooming equipment. With 600 plus members. Have we tipped yet? Not yet. Our population is about the same as it was in the late 80’s but we have extended our reach. In other words, with all of the infrastructure built in the last 26 years and the capacity planned and developed for the next 100 years, Rossland is at the cusp of a giant step forward. The average person in Rossland does not see it, but they feel it. Especially this ski season. The lines at the grocery store are longer. The variety of languages in the check line are not as familiar. The faces at restaurants, shops and liquor stores are ones we just can’t place. Have we tipped? Not yet. I predict (yes this may be stupidly bold) this winter is the year that Rossland, B.C. tips. Why? Over the years, all of the impressive articles written about the place were developed through the eyes of someone that could see the future. In many ways it has taken 26 years for Rossland to develop and fulfill all the promises that so many people have written about. The lower Canadian dollar will be the catalyst for a next wave of growth. I believe this impending growth includes population increases and increased development of services that people require. That’s the opportunity part.